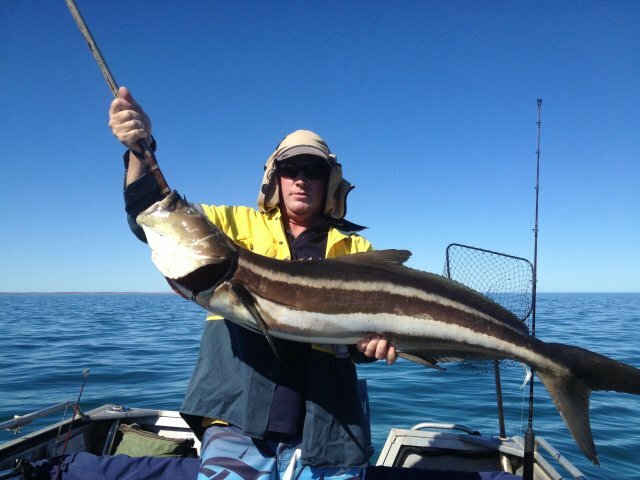 First fish in shark bay after I have just moved here. Not a bad way to start. Bottomed out 25 kg scales. Look forward to my next trip out in my new backyard. Stonka! I'd love a bigger model like that this year. Would have gone hard, nice one. there, nice work! Did you have the landing in your hand before thinking that won't work? look forward to more reports! Lucky I had a gaff on board but even then it was a mission. well done , great fish on the fang too I reckon . Nice thin strips in a vinegar and onion mix , yummo.